Ms. Wingo has a lovely style. Her work is bold and bright and has all the right detail. 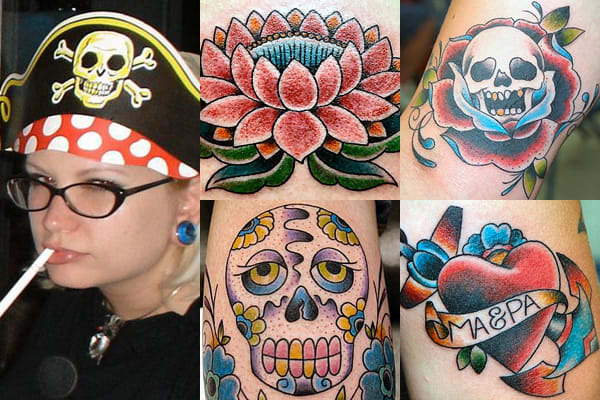 Her flowers are superb, and you can't go wrong if you go to her for a traditional Americana tattoo.